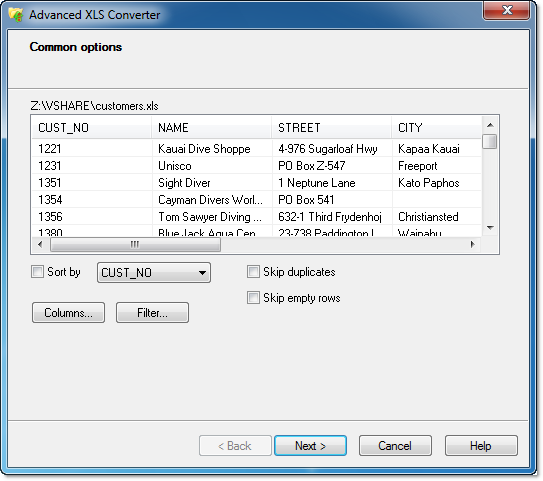 Advanced XLS Converter easily converts any given XLS/XLSX file to various formats including DBF, HTML, CSV, SQL - over 10 in total. Thanks to the extremely fast engine and smart optimization conversion takes literally a minute! The ability to preview and modify a file prior to conversion, batch processing of multiple Excel files and the laconic yet functional interface make Advanced XLS Converter a perfect choice both for pro and beginner users. This program converts databases between MySQL, Access, SQL Server, Oracle, Excel, Paradox, dBase, FoxPro and Text.